Verizon Wireless has finally confirmed that it will offer iPhone 4 with a $20 "personal hotspot" WiFi tethering plan similar to what it currently offers its existing smartphone subscribers. A report by MacWorld confirmed the mobile hotspot details with Verizon's executive director of corporate communications, Brenda Raney. Verizon's mobile hotspot plan allows users, for an extra $20 option on top of their data plan, to share their mobile 3G service with up to five WiFi devices (such as an iPad, iPod touch, MacBook, or any other WiFi device). 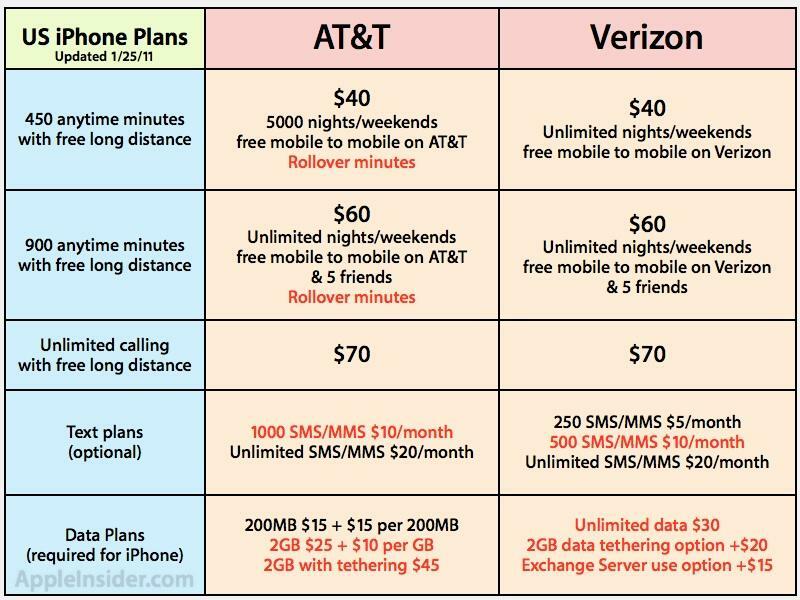 The iPhone 4 tethering plan has its own 2GB monthly cap, according to the report, with each additional gigabyte costing another $20. Previous Verizon tethering plans cost $30 but delivered 5GB of data, in addition to the user's data plan. That means the unlimited plan with tethering will cost a total of $50, with 2GB for tethering and unlimited use of mobile data. AT&T's $20 tethering plan currently only supports USB or Bluetooth tethering to a single device at once, and rather than offering a separate data pool, the plan counts use against the user's plan. That means the 2GB data plan with tethering costs $45 total, but still only offers 2GB of data per month. Verizon earlier announced that its new CDMA iPhone 4 would only be offered with an unlimited data plan costing $30, with no option for a limited use data plan as the company now allows its current smartphone users to choose. In the future, Verizon says it will phase out the unlimited data plan, following AT&T toward tiered service plans. It has not detailed when it will do this, nor how much it will charge. AT&T also announced earlier this month that it would be simplifying its texting plans to two options: 1000 messages for $10, or unlimited texts for $20.